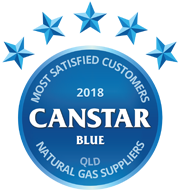 Compare QLD gas suppliers AGL and Origin on their value for money, customer service, bill & cost clarity, tools & advice, ease of sign-up, focus on environmental sustainability and overall customer satisfaction in Canstar Blue’s 2019 reviews & ratings. After four years of Origin dominance, AGL has taken the lead as the best-rated gas supplier in Queensland. AGL earned five-star reviews for bill & cost clarity, ease of sign-up, customer service, and overall customer satisfaction. Queenslanders are not as reliant on natural gas as households in the southern states of our great brown land, but that doesn’t mean you should accept high prices, or inferior service, from your provider. 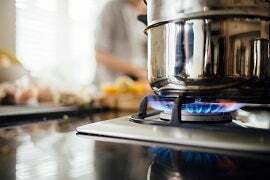 There are only three natural gas suppliers to choose from in Queensland, but that still gives you options if you are not entirely satisfied with the service you’re currently receiving, or the price that you’re paying. This review aims to make the decision-making process a little easier by ranking QLD gas suppliers on several key factors relating to customer satisfaction. 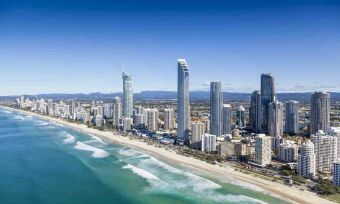 We walk you through your gas options, whether you live in Brisbane, the Gold Coast, Sunshine Coast or a regional area further north, to help you better-understand the market and possibly find a better deal. AGL rated five stars for overall customer satisfaction, as well as bill & cost clarity, ease of sign-up and customer service. It earned four stars for online tools & advice, environmental sustainability and value for money. Origin achieved four stars for overall customer satisfaction, bill & cost clarity and customer service. It received five stars for ease of sign-up but just three stars for online tools & advice, value for money and environmental sustainability. Now we know how these gas companies stack up in the eyes of their customers, let’s learn more about the plans they have to offer and the Queensland gas market as a whole. You may also want to compare their electricity offers, which you can do via our comparison tool below. AGL gives Queensland gas customers two different products to choose from. The decision will probably come down to whether you want a plan with fixed rates for two years, or variable rates. AGL’s fixed rate plan comes with no conditional discounts, just competitive rates locked in for the length of the contract. It means that customers are protected from any rising gas prices during this time. The only catch appears to be that you must opt in to email billing to sign up. 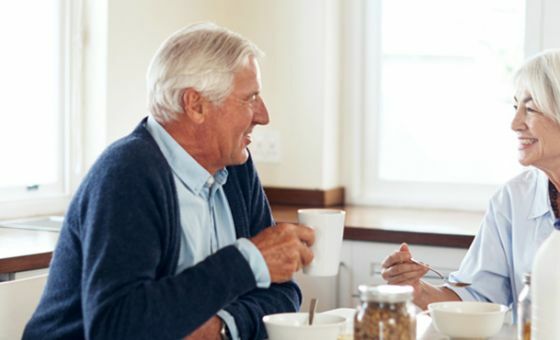 There are no exit fees with this plan, but if you prefer to keep things a little more flexible, AGL has a variable rate product as an alternative. 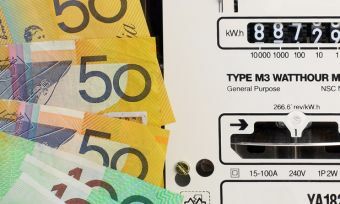 This comes with a modest pay on time discount off gas usage charges, but a bigger discount may be available if you double up by buying both electricity and gas with AGL. In terms of incentives, AGL has a rewards program which brings savings on things like movie tickets and groceries. Customers who sign up for electricity can collect flybuys points as they go, while bagging 10,000 points upfront if they sign up online, but it appears this offer does not stand if you only sign up for gas. Origin has three different gas offers for Queenslanders to choose from, depending on personal preference and circumstances. The biggest conditional discount comes for those who are happy to commit to direct debit payments and receiving bills via email, while a smaller discount is on offer for those who just want to pay bills on time. In both cases, discounts come off gas usage charges and there are 12 month benefit periods. Origin’s third product comes with an even smaller but guaranteed discount that applies to usage and supply charges for 12 months. There are no exit fees with any Origin gas plan, but prices are variable. Origin tends to offer a modest first bill credit when you sign up online, though this is not always available. Customers may also want to consider Origin’s Predictable Plan, whereby you pay the same amount every month for a year regardless of your gas usage. Unique quotes are offered based on previous usage history. New to the Queensland gas market, Red Energy’s biggest selling point is its partnership with Qantas which sees customers collect Frequent Flyer points as they go. Red Energy’s gas offers mirror its electricity plans, two of which bring varying Qantas points and discounts. The third plan simply offers a modest pay on time discount off your entire bill. There are no contract periods or exit fees with any of the retailer’s plans. Red Energy might be new to the gas market in Queensland, but it has been established in the electricity space since 2017. It has a strong reputation for good customer service, performing well in our electricity ratings for QLD and leading the way in NSW for the last few years. The majority of Queenslanders have been able to choose their natural gas supplier since back in 2007 when ‘Full Retail Competition’ was introduced. 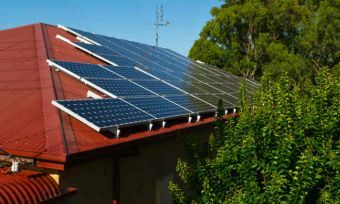 However, until Red Energy came to the party in 2018, AGL and Origin were the only two energy companies to offer retail gas services in the state. This is in stark contrast to NSW, South Australia and Victoria where several major energy providers compete for gas customers in far more competitive markets. Origin and AGL supply more than 90% of natural gas connections in SE Queensland, according to the Australian Energy Regulator’s (AER) latest report. The exceptions are those covered by Western Downs and Maranoa regional councils, including Roma and Dalby. In these areas, the local councils have licenses to retail natural gas to customers. Who sets gas prices in Queensland? Natural gas prices for most of Queensland have been deregulated since 2007, meaning that Origin and AGL have determined their own plans, prices and conditions for some time. 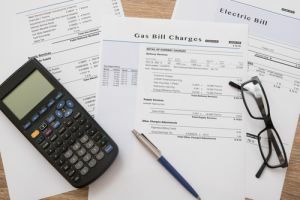 Prices are generally reviewed once a year, but if the retailers increase prices at any time, they must inform their customers at least 10 business days before the changes take effect. Prices are regulated in regional areas. Standing offer: All energy providers are required to offer standard contracts in addition to their market offers. These are the contracts that customers are likely to be on if they have not switched providers in several years. These contracts are ongoing and have basic terms and conditions set out by law (such as no exit fees) but will usually work out more expensive than market offers. Market offer: These contracts are set out almost entirely by the retailers and provide customers with the opportunity to save through conditional discounts and any other sign-up incentives. Market offers come with varying contract lengths and conditions. They may include exit fees. 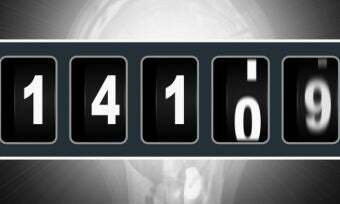 The latest figures from the AER show that about one in four Queensland households remain on a standard gas contract. This means big savings could be on the cards for those who switch to market contracts, even with the same retailer. About one in four respondents gave other reasons for choosing their gas supplier. Half of gas customers in QLD (50%) signed up to their supplier over the phone, while 34% signed up online. Just 64% of survey respondents think they get a good deal on gas. The amount you pay for gas is determined by two main costs – usage and supply charges. Usage charges are what you pay for the gas you actually use, while supply charges are ongoing daily costs you’ll need to pay regardless of your usage. In Brisbane, you can expect to pay around 75-80 cents per day in gas supply charges. These are charges just for being connected to the gas network. Usage charges are typically around 4-6 cents per megajoule (the unit of measurement for gas). A gas oven will likely use around 12 megajoules an hour. As is normal for gas companies, AGL, Origin and Red Energy charge different usage rates for gas depending on how much you actually use. For example, the first ‘block’ of gas you use a day will usually be charged at the highest rate. This is usually around 7-8 megajoules. The following block will be charged at a cheaper rate and so on. There will then be a lower cost for any remaining usage. Be aware that retailers may kick in their different usage rates at different intervals. Be aware that gas prices are subject to change, meaning the only way to find the cheapest plan for you is to compare rates on a regular basis. With only three gas retailers to choose from, it would be easy to ‘set and forget’ under the assumption that they are more or less the same. But that can be a costly mistake. Also consider that you don’t necessarily need to get gas and electricity from the same provider. While you will need to buy gas from either AGL, Origin or Red Energy, there are 18 electricity providers operating in SE Queensland that would happily welcome you on board. For many people, price will be the first and last thing they consider when comparing gas companies, but it’s also worth keeping our customer ratings in mind – because ‘cheapest’ doesn’t always mean ‘best’. It would be smart to keep your options open and regularly compare. Canstar Blue surveyed 12,000 Australian adults across a range of categories to measure and track customer satisfaction, via ISO 26362 accredited research panels managed by Qualtrics. The outcomes reported are the results from customers within the survey group who live in Queensland, have a gas account, and pay the bills – in this case, 331 people.